Game description: The region of Lordenias has seen a peaceful era for the last 400 years thanks to a single hero. However, this time was coming to an end. The king of Magura who controls the south-east island "Sylvania" was fascinated by demons and planned to revive the god of evil. Demons began to appear all over the island and soon the people began to disappear. The demonic forces turn their gaze towards Mid Earth. You will play as the protagonist and go on an adventure to save the world that has fallen. Travel around the world listening to people and gathering information. 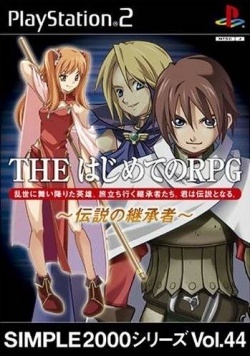 Around 100 kinds of monster, 50 kinds of magic, and 40 kinds of weapons and protective gear are available in this game. This page was last edited on 15 April 2019, at 14:59.